Oswald Theodore Avery was born on October 21, 1877 in Halifax, Nova Scotia. 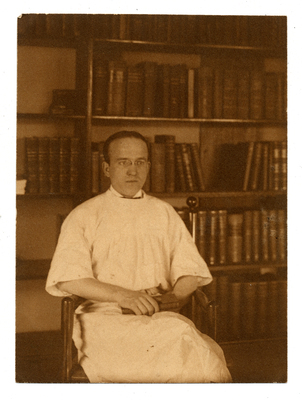 The family moved to New York City in 1887 where Avery chose a career in medicine. He received his medical degree in 1904 and moved in 1907 to Hoagland Laboratory in Brooklyn where he developed an interest in tuberculosis. It was during this time that Avery established what his biographer René Dubos called the pattern of his career, the “systematic effort to understand the biological activities of pathogenic bacteria through knowledge of their chemical composition.